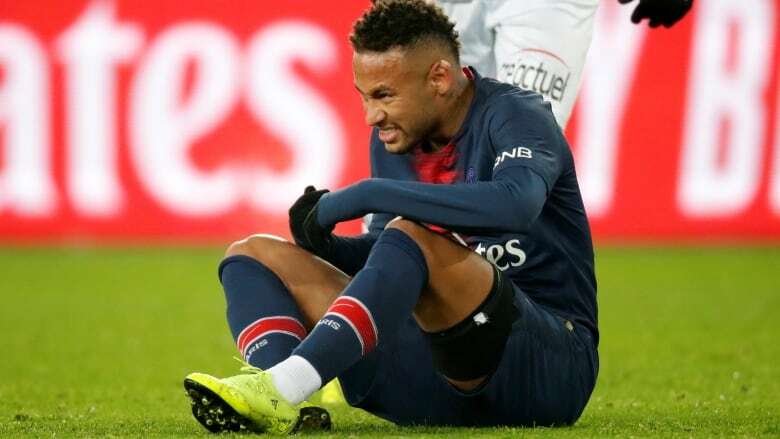 Neymar is expected to be sidelined for about 10 weeks with a right foot injury, ruling the Paris Saint-Germain striker out of the Champions League matchup against Manchester United. PSG travels to play United in the last 16 of the Champions League on Feb. 12, with the return leg in Paris on March 6. Neymar is expected to be sidelined for about 10 weeks with a right foot injury, ruling the Paris Saint-Germain striker out of the Champions League matchup against Manchester United. PSG travels to play United in the last 16 of the Champions League on Feb. 12, with the return leg in Paris on March 6. The injury potentially also rules him out both legs of the quarter-finals in mid-April if PSG advances. However, if PSG reaches the semifinals, the 26-year-old Brazilian may be back in time for the first leg at the end of April and the return leg in the second week of May. A group of medical experts met Tuesday at PSG's training ground to assess the damage to his fifth metatarsal and decided the best course of action was a "conservative treatment" and not an operation, PSG said Wednesday in a statement. Neymar was in "total agreement" with the decision, PSG added. It is Neymar's third injury in the last 12 months. Then, Neymar was substituted with a groin injury during the first half of Brazil's friendly against Cameroon on Nov. 20. Neymar became the world's most expensive player when he joined PSG from Barcelona for 222 million euros ($254 million) in 2017. He has scored 20 goals in 23 games this season and 48 in 53 overall. If his recovery goes well, Neymar should be able to play at the Copa America tournament, which opens on June 14 in Brazil. Neymar, who has made 96 international appearances, is third on Brazil's scoring list with 60 goals, behind only Ronaldo (62) and Pele (77).